Can effectively managing their inner or personal life. I tied the laces and started running. My first attempt at 10k was in January of this year and I ran 53min25sec. After that nearly killed me I decided to purchase a GPS watch, aim high and set a goal of running a 5K under 20 minutes & a 10k under 40 minutes by the end of 2013. Generally I like the idea of running by feel and perceived exertion, but having a GPS watch added real value to my training. The feedback provided is in real time, formative, targeted, & specific. 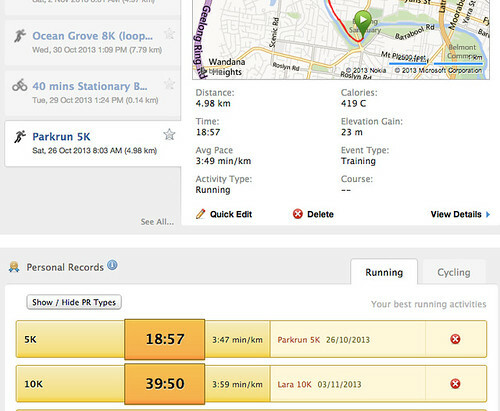 Also being able to share and compare your data with other runners online is a great motivator. We all have blind spots that impact the way we interact with others. Feedback can breathe new life into your professional and personal life if you can have the self-awareness to separate yourself from your role(s) and not take things too personally. Where to next? Great Ocean Road Marathon, May 2014 & then the Surf Coast 100, September 2014.